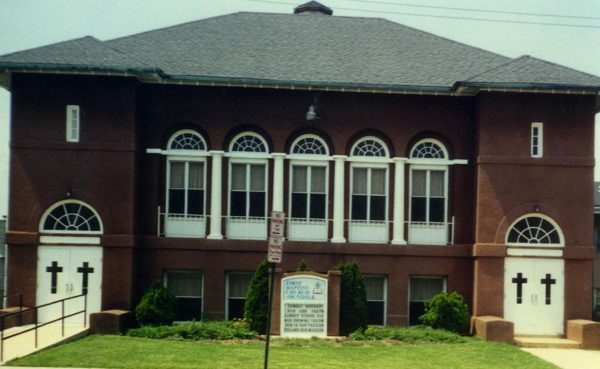 FBC Dundalk has a solid history and has created a lasting legacy in this southern Baltimore community. Its inhabitants built the ships and tanks that were used in WWII. They birthed families that prized integrity, honor, and community pride. And the congregation of FBC Dundalk was there decade after decade creating a spiritual atmosphere throughout the neighborhoods that make up this largely blue-collar community. But as time has moved on so have many of the residents. The church today has 40-45 mostly older saints who love Jesus but are struggling to reach the younger families moving into Dundalk. They yearn to see the nursery full of babies and children sitting in Sunday School classes that have gone unused for too long. Jeff Belcher is a Millennial. He came to Dundalk as a church planter last April. He started Sunday night services in the local community center. Since then 73 people have come to Christ. The room Church of the Harbor meets in is packed and at times probably over the legal meeting limit. Two dozen or more children fill a side room during the service. Jeff has needed space for several months. But nothing has been available in the area. Today this Senior heavy congregation is opening its doors to permit a very young church family to come in and hold services each week in their historic building. This isn’t going to be simple for either congregation. Things will be broken. Noise will increase. Policies will have to be created. Yet FBC Dundalk is putting aside every excuse as to why they shouldn’t allow a church of primarily new believers to use their building and Church of the Harbor is respecting the heart of this historic place so that together a community of over 50,000 people can hear the gospel. This is not a replant. It is a sharing of facilities. It is uniting hearts who earnestly desire to see Jesus lifted up. It is a Sr. adult holding the hand of a preschooler once again as they walk into a classroom. It is grace in operation. It is grassroots in nature. And it is happening all because a church decided to be selfless in the opening up of its long-held traditions so that new churches can have a place to hold weekly worship services. This is the genuine gospel in implementation. It is a new journey walking in the footpaths of older trails. But it is the same Jesus offering the same salvation that started in Acts 2 and continues on to Dundalk some 2000 years later. Thank you Pastor Chris Gudmundson and FBC Dundalk. Thank you Pastor Jeff Belcher and the Church of the Harbor family. You are going to show all of us what is possible when we work together in a spirit of acceptance and love for the glory of God. PS: To find out more how your facility could host a new church plant(s) contact Ron Larson at the above contact information.